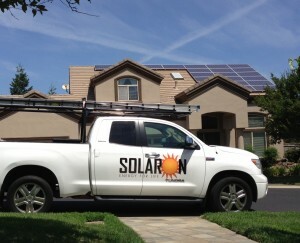 For a quality solar energy company in Vacaville, you should go with Solaron! An Authorized Dealer for SunPower, our special agreement with this business leader provides us with solar panels that are ahead of the competition in durability and efficiency. And with the experience of more than four thousand installations behind us, Solaron has the experience with devising, building and installing solar systems that you need in a solar energy company. For solar panels produced only by SunPower, come to Solaron. We create systems to fit any property and that work with your budget. Why heat thousands of gallons of water with carbon-emitting fossil fuels when you may easily use the renewable energy of sunlight? Solaron sells Heliocoil pool heating systems for trustworthy temperature gains throughout the cooler months of spring and fall.